SUCH a Daddy's girl. Harper Beckham cleans her teeth in Man United kit, complete with girly plait. 24. SUCH a Daddy's girl. 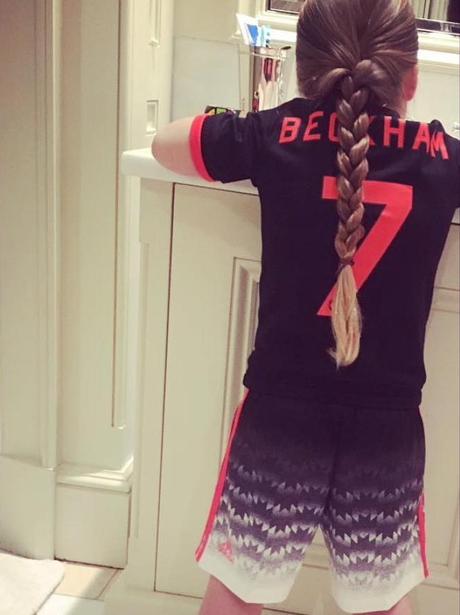 Harper Beckham cleans her teeth in Man United kit, complete with girly plait.